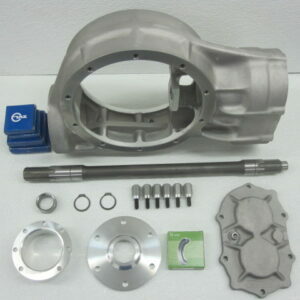 This is a complete center section available with a 28 or 31 spline Wedgelock differential. Use 1937-1948 Ford axle housings. Axle housings need to be modified for slide in style axles (see our p/n 1052, 1053 or 1060). Specify spline, change gear set # and finned or plain gear cover.